Cruising the Chilean Fjords | So Many Exciting and Beautiful Places! The sea was choppy this morning, but didn’t seem to be as bad as we had been warned last night, although we were out in the ocean. The air was definitely colder, and the sky was mostly cloudy. The clouds broke up a bit as the afternoon went on. 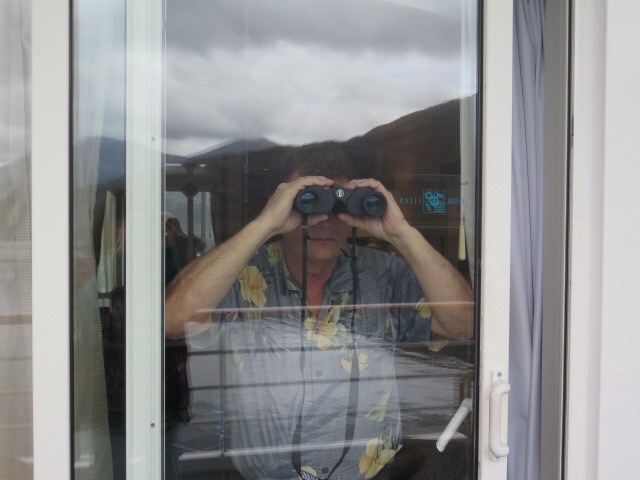 The captain turned the ship into more sheltered areas of the inside passage in the early afternoon. The winds died down somewhat although we don’t see too many people strolling the decks. I also didn’t see many people in the workout room this morning. I got some unplanned balance work in as my treadmill tipped back and forth, and from side to side, with the waves. We attended a short briefing this afternoon about our Antarctica visit in three days. We must put our boots out for cleaning tonight to be sure we don’t bring any unwanted seeds or germs to that pristine environment. Fortunately, our down parkas haven’t been worn yet so are good to go. Projected temperatures will be in the 30’s, practically balmy for us intrepid Minnesotans. There is about a 50-50 chance that we will actually go on this excursion. If there is any chance that the weather will not allow us to return safely to the ship, the visit will be cancelled. We’re keeping our fingers crossed. There are no shore excursions today or tomorrow, a good time to catch up on our rest, and fit in a massage this afternoon. 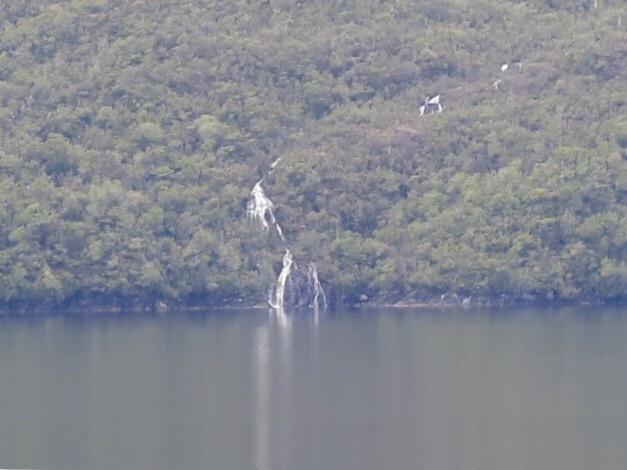 As we sailed closer to land, we saw several waterfalls. Mark thought he saw penguins along the shore. Others mentioned sea otters and whales as well. After dinner, we enjoyed a stage performance by Perry Grant, a singer/pianist/comedian in the style of Liberace. He has performed all over the world, before celebrities such as Princess Diana and Prince Charles, and has accompanied stars like the late Debbie Reynolds. He has also appeared on some television shows. 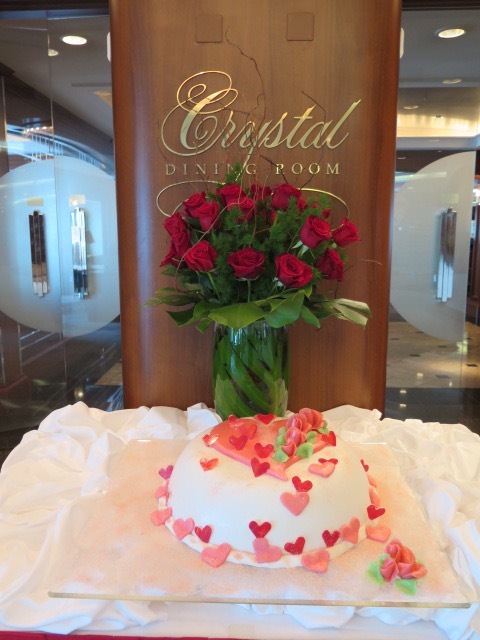 We have had the pleasure of seeing his lounge act both here and on the Alaska cruise last August. Tonight’s show was all we expected, totally delightful. Cloudy again today, but less windy. 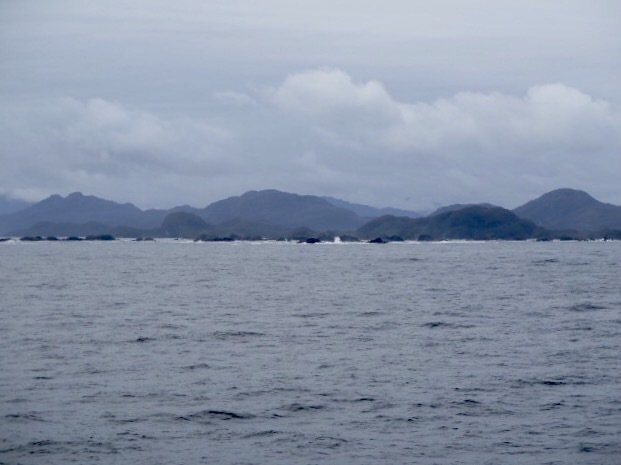 We’ve been seeing a little land as we continued sailing through Chile’s fjords. 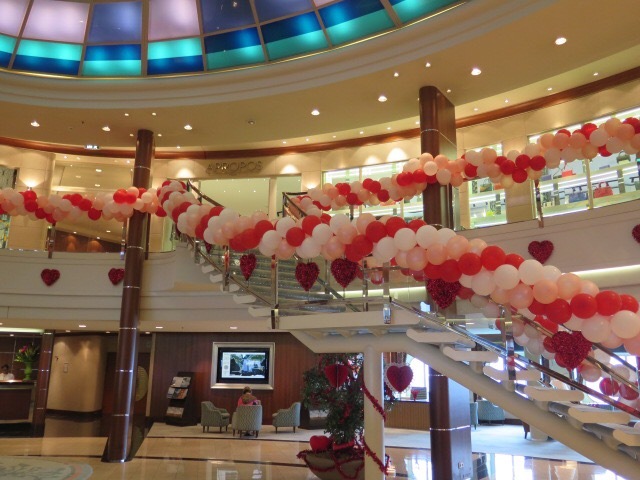 The crew spent this morning decorating the main lobby and lounges for tonight – lots of red and white balloons plus red hearts everywhere. After dinner tonight, we enjoyed a variety show and then popped in to watch Perry Grant, where Mark was his latest victim. Fortunately, he passed the test – 4 bedrooms, granite countertops, brushed nickel facets, etc – so stressful. 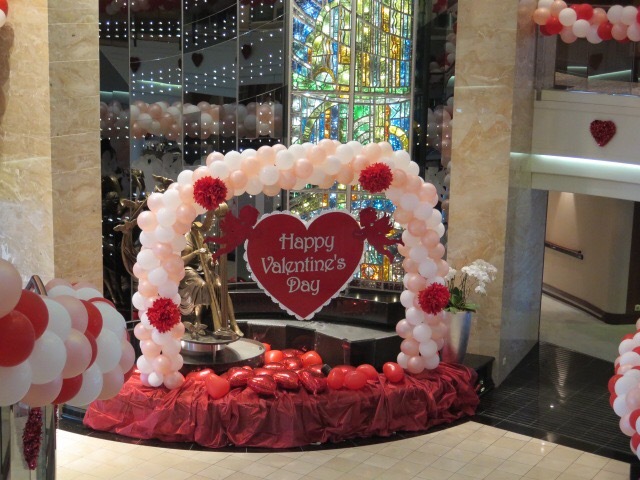 Still, it was a good Valentine’s Day. 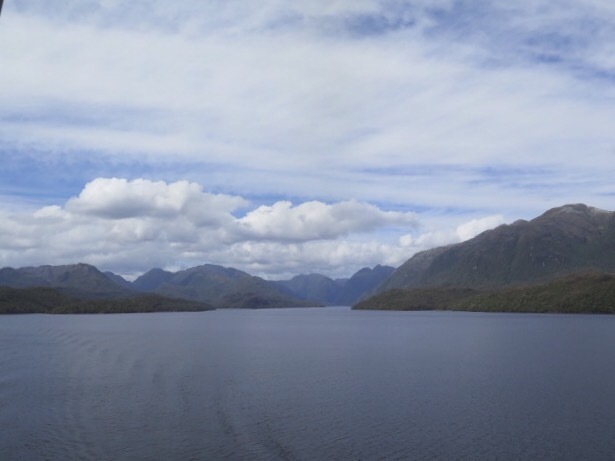 This entry was posted in Chile, Crystal Cruises, South America Travel, Uncategorized and tagged Chilean Fjords, Perry Grant. Bookmark the permalink.